Goan beauty Ileana’s last noted success was “Kick” (2009) starring Ravi Teja. Since then, the actress has not scored a hit in Tollywood. Her films “Rechipo”, “Saleem”, “Shakti”, and “Nenu Naa Rakshasi” tanked at the box office. The actress, who shot to fame with “Devadasu” and “Pokiri”, later preferred to be choosy with her scripts after a series of flops. However, the actress exudes confidence that she can strike back at the ticket window with her upcoming releases.She is now pinning hopes on Puri Jagannadh’s forthcoming offering “Devudu Chesina Manushulu” and Trivikram Srinivas’ “Julayi”. Starring Ravi Teja, “Devudu Chesina Manushulu” is a masala entertainer in which Ileana would be seen in a glam role again. The actress says that the film has come out very well and will be a success at the box office. 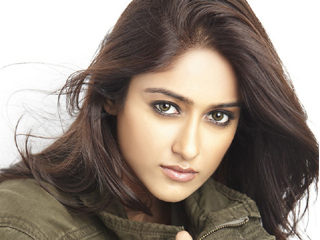 Ileana is also the female lead in “Julayi”, starring Allu Arjun. This romantic entertainer, directed by Trivikram Srinivas, is slated for release soon.